Starting July 1, 2018, Australians over 65 years old will be able to channel up to $300,000 of the proceeds from the sale of a single home into their superannuation. 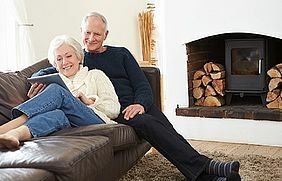 This is an exciting change, offering massive benefits for older Australians who are ready to downsize. However, in order to move on from your home you need another place to go. Here are a few things you should look out for when hunting for that perfect downsizing home. As we get older, many of us may struggle with regularly having to climb or descend stairs, so it's ideal for downsizers to look for a single-storey home. With everything based on the ground floor, there's no need to be straining yourself and less risk of severe falls. Also, it’s important to consider the access to the property. Steep driveways or entry stairs can create obstacles to getting out of the house, meanwhile flat or ramped entryways can be especially accommodating should you or a loved one come to require the help of a wheelchair. There's a good chance that if you're downsizing after retirement, you aren't really looking to make a huge change to your life. Look for a home near your usual haunts - keep yourself local, with easy access to your friends and family. This way, even though you're saying goodbye to a house you've made memories in, you'll be staying close to all the people who helped to make those memories and that's the most important thing. Over the years you've probably collected quite a few things that you're not quite prepared to part with just yet. That's normal - but you'll need to make sure wherever you're going has enough space for everything. Even if you aren't squeezing a lot of stuff into your living areas, finding a home with plenty of storage space to stow away your sentimental treasures is a great idea. Just because you're older, doesn't mean you won't want to have a few people over now and again. Make sure your home doesn't limit your ability to entertain, whether that means you've got an open plan kitchen-living space, or a spare room to host the grandkids when your own children need the night off. Downsizing doesn't mean living a smaller life - it just means cutting the fat off your living situation. Let us help you work out the details so your transition is as seamless as possible.